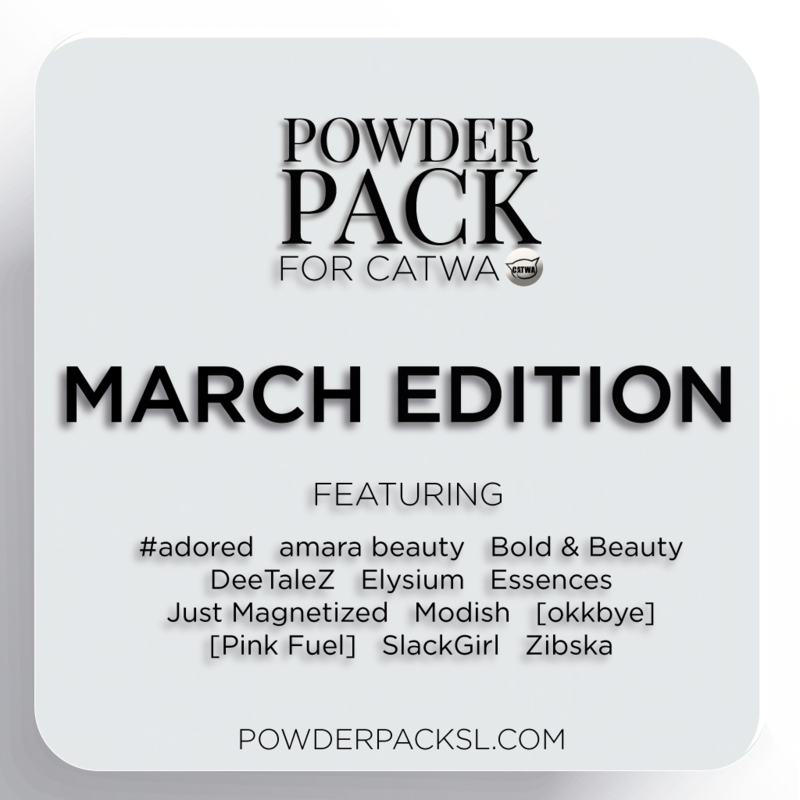 Powder Pack – March | Oh Look! It's A Blog! THERE WILL BE A LELUTKA BOX THIS MONTH TOO! Head to the website for all the official info: HERE. This entry was posted in iheartslFeed, Uncategorized and tagged CatWa, Powder Pack. Bookmark the permalink. ← But tomorrow’s just another day. I love my Catwa Powder Pack every month! Best ever!